Why Isn't Climate Change on More Lips? Did you follow the news from the global climate conference in Durban and discuss it with your peers? If you said no, welcome to the club. What do most Americans know is happening, but few talk about? Eighty-three percent of Americans believe the Earth is heating up, according to a recent Reuters/Ipsons poll. Yet most live as though global warming isn’t taking place, even while knowing that it is. That’s understandable. Thinking about the life we’ve known on Earth changing inexorably, often in harmful ways, is so horrifying that you may feel like clicking away from this article right now. Who can stand such distressing feelings? “Well there’s nothing I can do about it," so many shrug. “So why bring it up?” or "I don’t have to worry. I don&apos;t live near the ocean." Such phrases belong to an array of denial devices created to protect us from fear. Along with social etiquette, cultural narratives and beliefs, and even jokes, they form a social shield allowing us to “look the other way” and lead our daily lives calmly, says University of Oregon sociologist Kari Norgaard. Norgaard studied that collective denial during a year of living in a Norwegian village and through focus groups and interviews she later conducted in the U.S. In her recently published book,Living in Denial: Climate Change, Emotions, and Everyday Life, she describes distinct signs of global warming in the unidentified village, including so little snow that the local ski area didn’t open until December, with artificial snow. Yet the villagers rarely discussed climate change and took no action to slow it down. Norgaard, who is fluent in Norwegian and whose grandmother emigrated from Norway to the U.S., studied this village because it presented a microcosm unaffected by conditions she would have had to control for elsewhere. Norway has the highest standard of living in the world and the highest percentage of newspaper readership, as well as extremely high grassroots political and voting activity. “Everyday people are likely to be involved in political parties,” Norgaard explains. So she did not have to control for villagers’ worrying about their livelihoods, ignorance of global warming, or political apathy. In addition, global warming had already affected Norway dramatically because of its northerly location. “I thought the village would serve as a bellwether for the U.S. and the rest of the world,” says Norgaard. Researching in the United States, Norgaard found Americansfollowed a denial pattern similar to that she’d observed among the Norwegians. Climate change evokes not only fear, but also guilt, and a feeling of helplessness — feelings that threaten our basic psychological needs. Fear of the future jeopardizesour sense of safety and security (something the Pentagon has taken seriously, though). Guilt threatens one&apos;s basic identity as a good and rational person. And entrapment in a petroleum-based system that pumps carbon into the atmosphere can fuel feelings of either helplessness, as does the widespread belief that governments haven’t provided a plan for reducing greenhouse gas emissions or may not be capable of doing so. That realization undermines the indispensable feelings of competence and control over our surroundings. These emotions are so disturbing, says Norgaard, that people react by living a “double reality” of knowing and not knowing. “We need to numb ourselves to get through the day,” she explains. It’s like the “psychic numbing” that psychologist Robert J. Lifton has called necessary for living in a nuclear age of possible mass annihilation. To provide that psychological armor, human culture has evolved powerful social mechanisms of denial. Humor helps protect us, too, aswhen people joke, “Must be global warming!” on an unseasonably cold day, or mock an environmental activist who drives an SUV. Another common way to practice social denial is to change the subject to moral deterioration in general ("We live in an age of rampant selfishness and greed") or to criticize others in particular. "We&apos;re not as bad as the Americans," Norwegians like to say, despite being one of the largest oil producers and exporters in the world. Criticism of scientists as “doomsayers” and “junk scientists” serves the same diversionary purpose, even in the face of the scientific consensus that humans are heating up the planet. Ranting about researchers inventing global warming to garner grants is a distraction from thinking about a future of increasing droughts, floods, and disease. The media often reinforce that denial by treating climate change science as a political viewpoint rather than scientific fact, observing “objectivity” by giving equal time to global warming skeptics. American weather forecasts and reports rarely connect weather events to climate change, even in stories that ask if there is a direct connection, correctly pleading that the two aren’t equivalent and that individual events can’t be conclusively linked one way or the other. Yet they rarely point out that climate changes will push the extremes of these storms, hurricanes, and tornadoes overall. 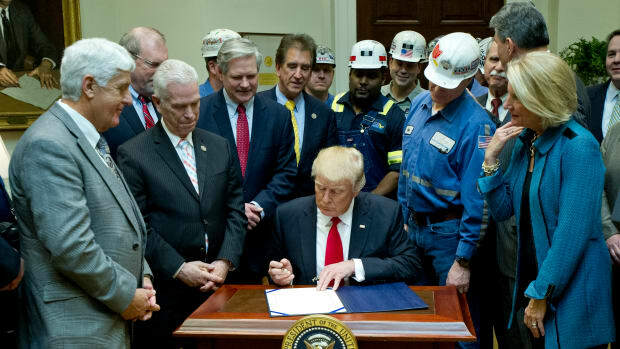 American exceptionalism — the idea that the United States is superior and destined to lead the world because of its constitutional liberties — also helps push global warming under the rug. It underpins the denial script of never questioning the “American way of life,” says Norgaard. And it bolsters the common fantasy that global warming will only affect people in distant lands, in the future. If all else fails, we simply block out information. That means skipping over stories about the melting of Arctic ice, the expected disappearance of island nations, or the possible escape of methane from thawing tundra. Or even skipping this article altogether. Two new surveys regarding Americans' attitudes toward climate change suggest that Americans have yet to make a personal connection to the issue. Are American Conservatives More Starkly Anti-Climate Change Than Conservatives Globally? Research shows that Americans are far less concerned about the threat of global warming than their European counterparts. 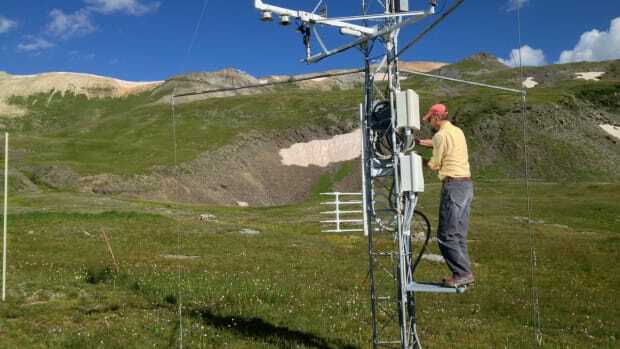 Better science coordination will help mountain communities prepare for global warming. Being vocally anti-science has become a defining mark of a current style of politics, an intentional ignorance that recalls the Scopes Monkey Trial, argues law professor Robert Benson. Republican Global Warming Skeptics Believe in Climate Change? New research finds Republicans scoff at "global warming," but are much more receptive to the notion of "climate change." 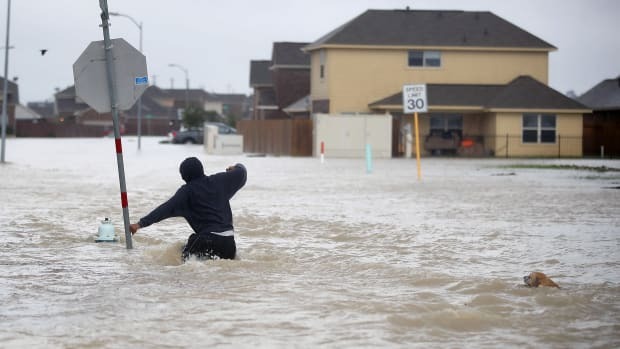 New research finds attitudes toward climate-change mitigation are only minimally and fleetingly affected by severe weather.